The Safco Projector Stand is a compact piece of furniture that features a durable build, adjustable shelves, and multiple compartments for storage. The projector shelf has an adjustable height of 20 to 29 inches and adjusts in one-inch increments. A removable shelf that can be placed on either side of the stand can be used for holding documents or for other devices like a laptop. Also included are an open compartment and a lockable lower compartment for storage use. 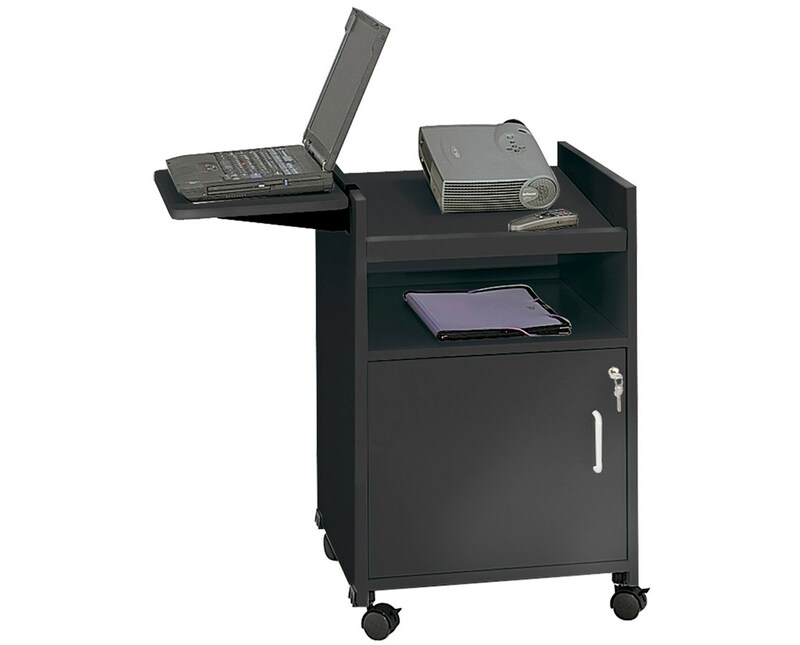 Four two-inch dual wheel carpet casters allow this stand to be mobile and two of these casters can be locked. 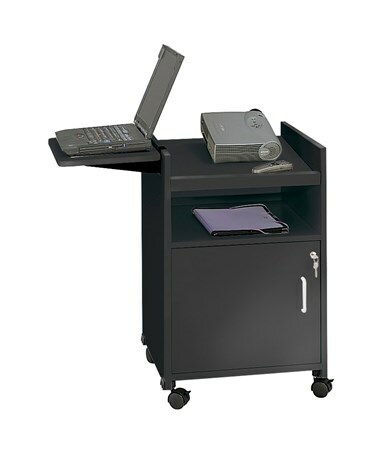 This projector stand is made of -inch furniture-grade wood with a melamine laminate finish.